Thread: Just got a gecko a few days ago, and i some question about the lighting. For the geckos where I use UVB, I just lay the light on top of the mesh. 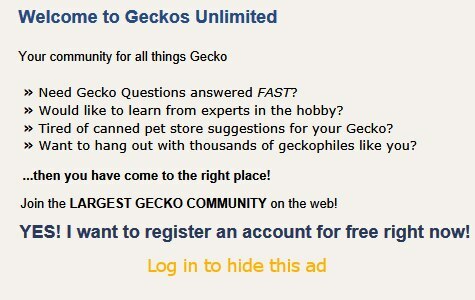 It's unclear to what extent your gecko will benefit --it depends on whether it spends any daytime outside of the hides.